Monks chant at the Iron pool while guests and spagoers look on. The first blessing begins at the Iron pool not long after the lunch hour. It is a sunny, bright and brisk Monday, and the outdoor pools at northern New Mexico’s Ojo Caliente, one of the oldest spas in the country, are filled with the usual mix of soakers: retreating couples of all ages and a handful of locals who, like me, are playing hooky in search of a little serenity. 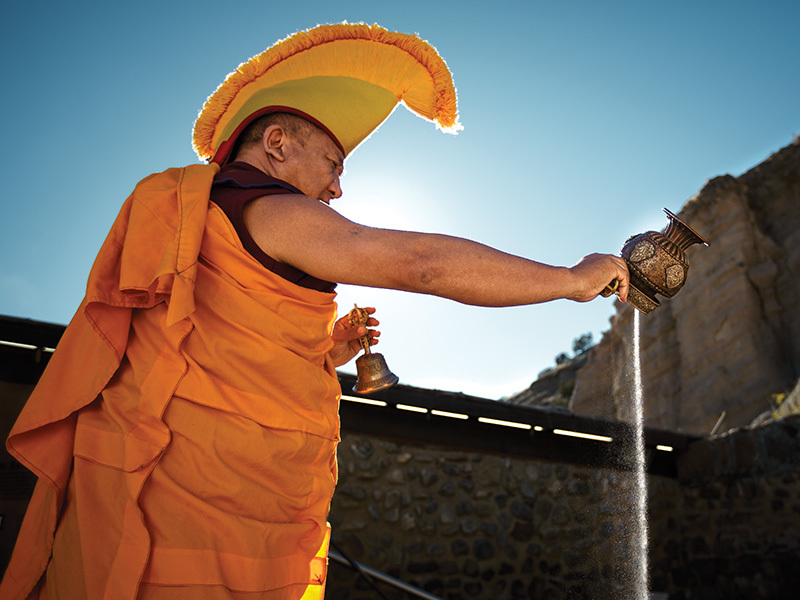 Although the visiting monks — 10 men from India’s renowned Drepung Loseling Monastery — are dressed in their customary saffron-and-red robes and crescent-shaped yellow hats and were carrying an urn of consecrated sand and an assortment of traditional instruments, the ritual begins with little pageantry. At the appointed time, they quietly arrange themselves in a line around the pool. A small crowd of guests have gathered and, after a brief introduction, the monks begin the multiphonic chanting for which they’re famous. A monk blesses individuals with a peacock feather dipped in Ojo Caliente’s water. “First we have to summon the water spirits,” Geshe Laden, the group’s unofficial spokesman, had told me earlier at lunch. “Then we nourish them with the sand.” After several minutes of call-and-response chanting, punctuated by bells, symbols, horns and drumming, a small amount of sand is ceremoniously sprinkled into the pool. Then the chanting subsides, and the monks deferentially take off their hats. For a few moments, the only sound is the spring water trickling into the pool. It is a fittingly moving but low-key ceremony for a resort that respectfully and deftly balances its deep spiritual roots with modern spa culture. The springs and the surrounding valley have been a hub of human activity for thousands of years. Ancestors of today’s Tewa tribes built large pueblos and terraced gardens overlooking the springs. 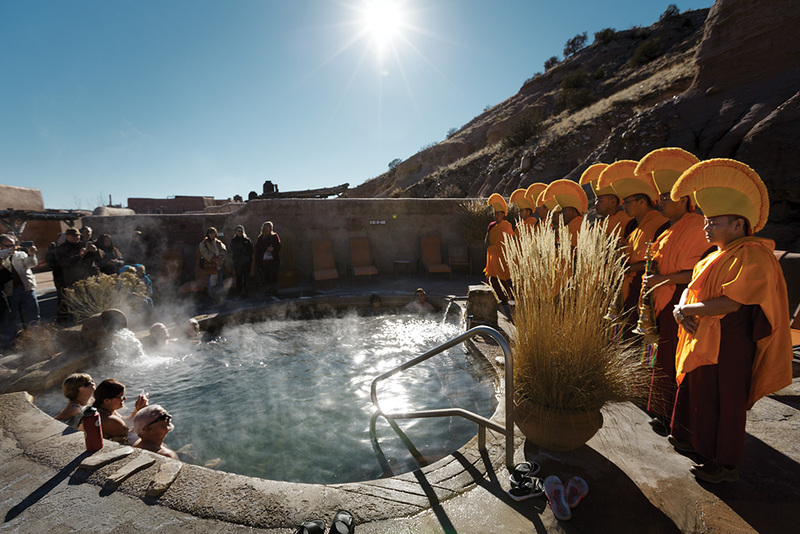 Legend has it that the springs’ therapeutic properties were so revered that warring tribes would, at least temporarily, set aside their weapons and conflicts to gather, soak and heal together. The rejuvenating allure of the place has persisted ever since, and today the resort is more popular than ever. Over the past 15 years, it’s been slowly and more or less completely updated — everything from new suites and cottages to upgraded pools and mud baths. There’s now a wine bar, 12 miles of single-track mountain biking trails and even a 2-acre organic farm. And though all the improvements have only made the place more enjoyable, an unpretentious vibe still prevails. The focus remains on the legendary springs, the only ones in the world that contain four different minerals — iron, soda, lithia and arsenic — each said to have its own unique healing properties. The blessing of the waters caps off the New Mexico leg of the monks’ annual Mystical Arts of Tibet Tour. A monthlong circuit in which a rotating cast of the monastery’s 3,000 monks travels the U.S. performing music and dance ceremonies and creating mandalas, the tour’s primary goals are to promote global peace and harmony and raise awareness about the Chinese occupation of Tibet, where the monastery was founded. The religious ceremony features bells, cymbals and drumming. 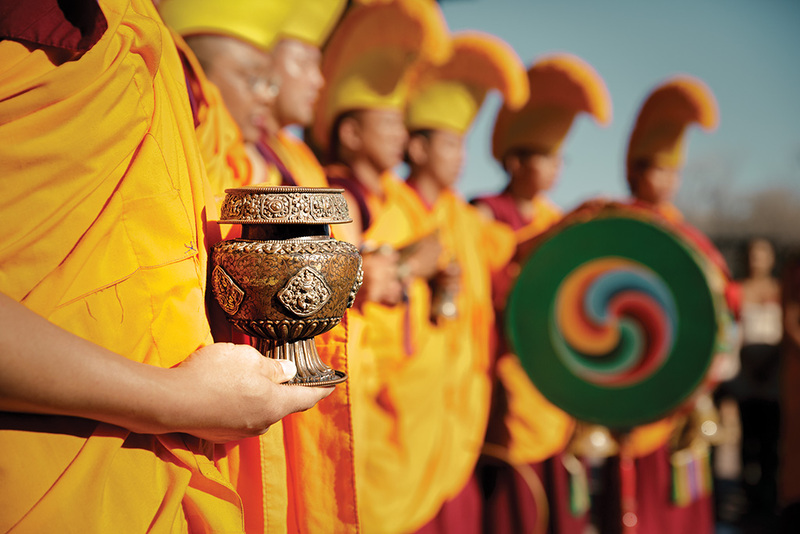 After the monks bless a second pool, the whole procession move into the resort’s lobby, where the group performs a final chant. 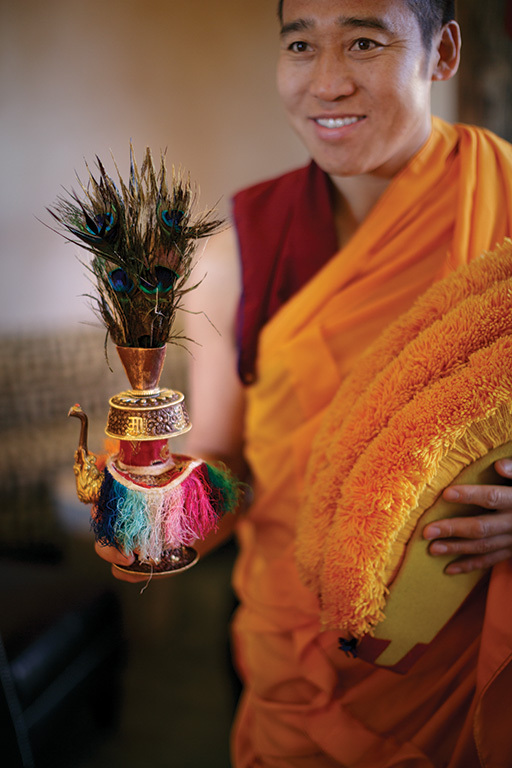 The monks bless individuals with the wave of a peacock feather dipped in water, and hand out small baggies of blessed sand. Houghton had suggested putting the baggie under your pillow, “to have wonderful multicolor dreams.” It was good advice. I’m not sure if it was the soaking or the sand, but I slept really well that night.